Battle Beast are a Finnish heavy metal band established in Helsinki in 2008. The band released their fifth studio album “No More Hollywood Endings” on March 22 2019 and started their world tour with four massive shows in Finland, including the Helsinki Ice Hall and sold out Logomo in Turku. Ever since winning two major band competitions in 2010, Battle Beast have been untiring to spread the word across the globe with five album releases and many many tours. In 2017, Battle Beast released their fourth album “Bringer of Pain”, which topped the charts in their homeland. The album was also their first to reach the top 20 in Germany, debuting at #14 on its release week. The famously intense live band featuring Noora Louhimo, one of the top frontwomen in metal music, performed over 200 shows across Europe, USA and Asia in 2017-18 – and are now hungrier than ever to release the beast across the globe. Battle Beast were awarded Metal Album of the Year at Emma Gaala (Finnish Grammys) for “Bringer of Pain” (2017). 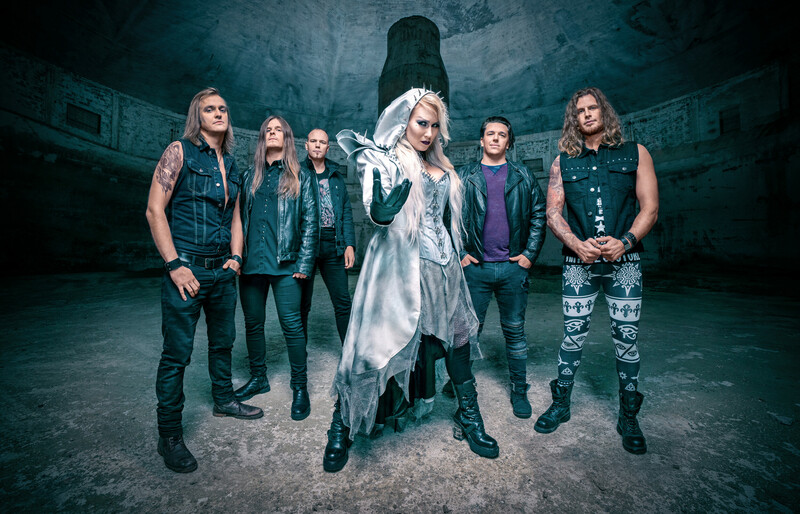 Battle Beast’s European headline tour in April-May 2019 started with four major shows in Finland. The band will also tour North America in September/October 2019 with Kamelot and Sonata Arctica. Find full tour dates in the right hand side column.